Why is it so hard for so many of us to find a career path we love? Most of us have heard the famous quote allegedly said by Confucius, the Chinese teacher, politician, and philosopher who lived more than 2500 years ago. “Choose a job you love and you’ll never have to work another day in your life”. 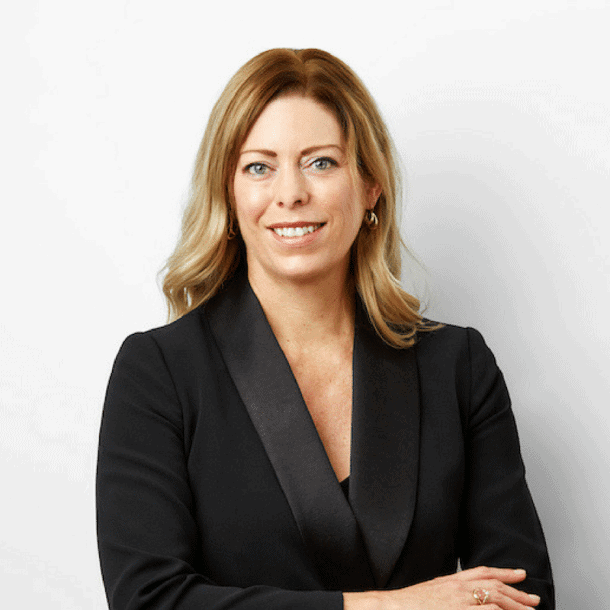 You’re told to choose a career path when you’re very young, with little life experience, and without having had a chance to experience what many different career paths look and feel like on a day-to-day basis. The reality of many professions is very different to the preconceptions or fantasies we have about them. You’re filled with societal expectations from a young age that teach you falsehoods such as “If you’re smart, you should become a doctor, lawyer, or engineer” or “The measure of success is the amount of money you make” or “Choose job security over passion” and other such misleading statements. You’re not taught to trust your own inner instincts from a young age. You’re encouraged to take the advice from teachers and adults more seriously than the whispers in your heart. Over time most of us learn to ignore those whispers completely. You might have been told that following our passion is not responsible or wise. You might have been led to believe that your specific talents and gifts are not necessarily something that the world needs and that we should choose something more practical instead. 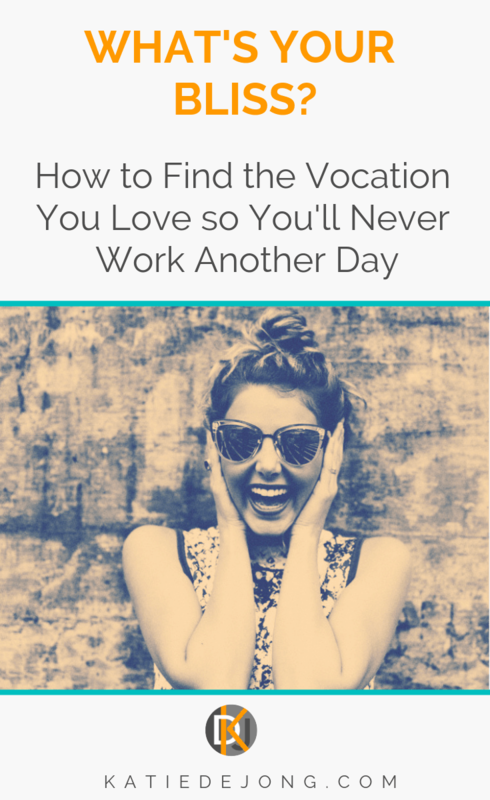 Read more at Why is So Hard to Find a Career You Love? 5 Powerful Tips for Finding Your Inspired Professional Path. I took all the subliminal messages in my environment very seriously and they eventually led me down the completely wrong professional path. I spent fifteen years of my life in a career that was a complete mismatch for my personality, strengths, and passion. And as a result, I spent years feeling unwell, miserable, and exhausted. 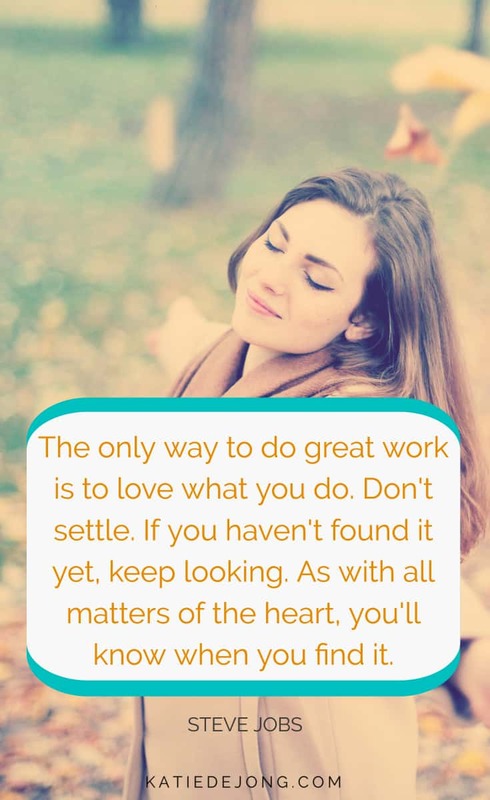 To find a career path you love, get out there and try many different things. The only way to know if a certain career path is right for you is to try it. There is no shame or failure in realising that you’re on the wrong path. All experiences, whether good are bad, are feedback. Let your experiences inform you and guide your future decisions. Trust your own inner instincts. Learn to listen to those whispers from that little voice in your head. They’re your very own internal GPS system, guiding you through life and to your true path. Be sure to spend time in quiet reflection and develop the ability to listen to your own intuition coming through those whispers. It’s the most reliable advice you’ll ever get. Don’t feel pressured to lock yourself into one particular path. Choosing one particular direction does not mean you’re locked into it for life. Allow yourself to ‘pivot’when you have to and try to stay open to what life is trying to tell you. Your life is constantly giving you feedback; it’s up to you to learn how to read the signs. Your mood and energy levels are a wonderful gauge as to whether you’re on the right path or not. If you feel positive, have lots of energy, and come home feeling fulfilled and satisfied each night, even if it’s been a difficult day, chances are you’re on the right path. And the opposite is also true. If you chose to go to University, view your degree as a wonderful foundation for your life and appreciate it for all the skills it taught you. But don’t let it lock you into a particular profession. All the skills you learned at University are transferable and can be used in any profession. You have unique and specific gifts and talents that the world needs. Your job is to find out what they are, and how to apply them in a way that feels fun, fulfilling, and meaningful and allows you to make a positive contribution. Many research studies have shown repeatedly that those who feel the most satisfaction in their job are those who feel that they’re making a meaningful contribution to society. You have passions for a reason. They’re a guidepost for your unique path and purpose. They’re clues to your ‘big why’, your purpose. Yes, you have a unique purpose. And it’s your task to find it. You won’t find it overnight, but it will eventually reveal itself to you and you will know, without a shadow of a doubt, when you have found it. All of a sudden you’ll have all the energy, inspiration, and motivation you need and more. 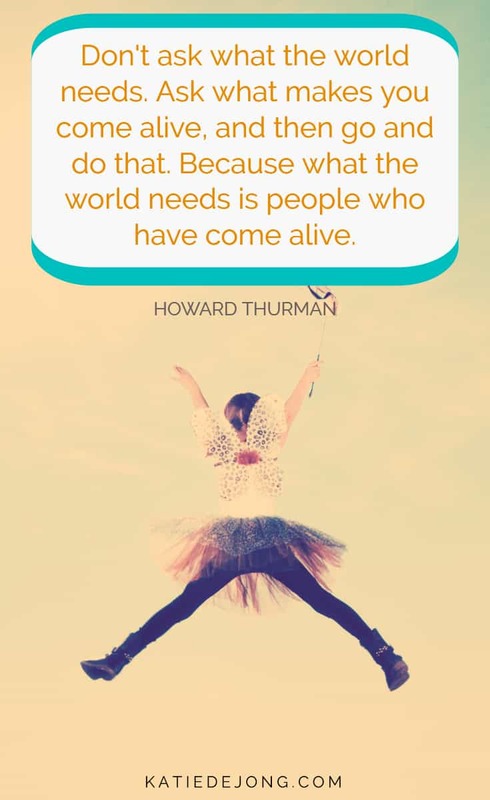 Your purpose is the vocation that allows you to express yourself and your potential fully and to contribute your unique gifts in service to something you care about, while making a positive difference and earning you an abundant, reliable income. But the big question still remains – How do you find that particular path? The most important thing is to give up the notion that you have to find it straight away. The key, I believe, is to simply start by doing the things that bring you joy, fulfilment, and satisfaction, and to view your journey with curiosity and wonder. Stay open to how different jobs and activities make you feel, and keep going in the direction of the ones that feel good. Here are some questions to ponder along the way. What is it that brings you joy? What makes your heart sing? What brings you a deep feeling of fulfilment and love for life? How could you build a career around these things that allows you to thrive? These are not easy questions to answer, and many of us can spend years, if not a lifetime, getting clear answers. In my own quest to find my inspired professional path, I’ve come across a technique that helped me get closer to my true essence and authentic joy. It’s a process of reflection that I call “Those blissfully happy moments.” The key lies in reflecting back on those moments in life where you felt ecstatic joy, aliveness, and connection; where your heart literally overflowed with happiness. Most of us have experienced at least a couple of these moments in life. The key to your heart’s joy and true passion lies in those moments if you’re able to feel back into them and understand what they represented. They’re not random moments of happiness that you just happen to remember as highlights of your life, but rather they give you insight into the depth of your unique joy and the values that you hold most cherished. And they contain the seeds of your true calling. Take a moment to describe those fleeting moments in your life when you felt exquisite happiness. Where were you, what were you doing, and with whom were you doing it? Which feelings did you experience and why? Write them down, and then look for the hidden signs to your cherished values in there. Here are some examples from my own experience to help you define yours. I’m on a road trip up north in the remote Pilbara region of Western Australia with friends and we stop at a roadhouse somewhere to have dinner, in what feels like the middle-of-nowhere. Behind the roadhouse there’s a small hall where some locals are doing Karaoke; we decide to join them. Several drinks and many cheesy songs later, we walk outside to find our camper-van to sleep in. We come across a group of beautiful little Aboriginal children playing outside on the grass. One of them comes up to us, beaming with her big white teeth in an ear-to-ear grin. I strike up a conversation with her and we laugh and connect. Such a beautiful, innocent little girl who is a victim of circumstances – born into a race of people who have been mistreated and often looked down upon in White Australia, living in poverty and a world of limited opportunities. I ask her if she likes dizzy-whizzies and she says “yes!”. I pick her up, swing her around and she giggles with delight. I do this a few more times at her request, and we swirl around and fall down, laughing from dizziness and fun. Finally, I tell her I have to go (or my drinks are going to come up!). My friends have already left. As I leave I give her a big squeeze and she grabs me back in a beautiful, giant hug. I feel her heart and her warmth, her beautiful, radiant soul. We stay locked in this beautiful hug and in this moment it feels like the world has stood still; two strangers locked in an embrace, sharing our humanity and love. I never saw her again, but she taught me so much and in that moment: I knew I wanted to be a vehicle for everyone in this world TO BE SEEN AND HEARD, for everyone to be able to step into their full light and brightness, regardless of their background, skin colour or social setting. THIS WAS A SEED OF MY CALLING. I’m boarding a plane at London Heathrow airport where I’ve been living, bound for Milan, Italy for a three-day weekend to go to a concert of Italian rock icon Vasco Rossi. I have nothing with me but my small backpack containing two changes of clothes, my wallet, my camera and my toilet bag. I’ll be staying with a good friend in Italy for the weekend, both of us huge fans of Vasco and what this rock legend represents – rebellion against the system, full expression of everyone’s uniqueness and individual identity, living life to the fullest in all its pain and glory. The exquisite, joyful feeling starts at the check-in counter when they ask me if I have baggage to check in. I say ‘no’ (traveling without baggage feels like a true symbol of freedom for me). I walk through the security area, sit down at a bar to wait for my flight and enjoy a large beer – just me and my small backpack. The feeling of freedom and joy is indescribable. It’s not until later many years later that I realise what the joy in this moment was telling me; that FREEDOM is one of the highest values I cherish. Freedom of expression, freedom to live life according to our own agenda, gifts and talents, freedom to contribute to the world in the way we want, freedom to allow others to be their own exquisite selves. Freedom from shame, expectations and internally or externally-imposed limitations. Freedom to be ourselves, fully and unashamedly. ANOTHER SEED OF MY CALLING. These moments didn’t give me DIRECT answers. But they helped me understand more about my authentic passion and joy and about the values I hold most cherished. And there are many more moments I could allude to; all pieces of the puzzles that have helped me get closer to my ‘bliss’, even though it’s an ongoing journey that reveals more and more of itself as life goes on. 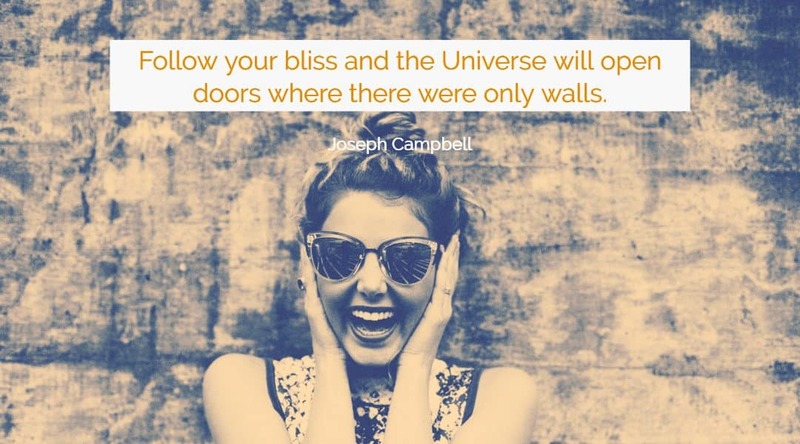 You need to look beneath the feeling of joy you experienced in those blissfully happy moments and ask yourself what they were trying to tell you. Were they random moments of happiness or was there a message in there for you? I’ll bet you there was. So I wonder, what are those moments in your life that have made your heart overflow with joy? What were they trying to tell you about what you value and cherish most in life? And what guidance were they giving you about your purposeful and joyful professional path? I invite you to spend a few minutes reflecting on those blissfully happy moments and ask yourself what’s hiding in there. 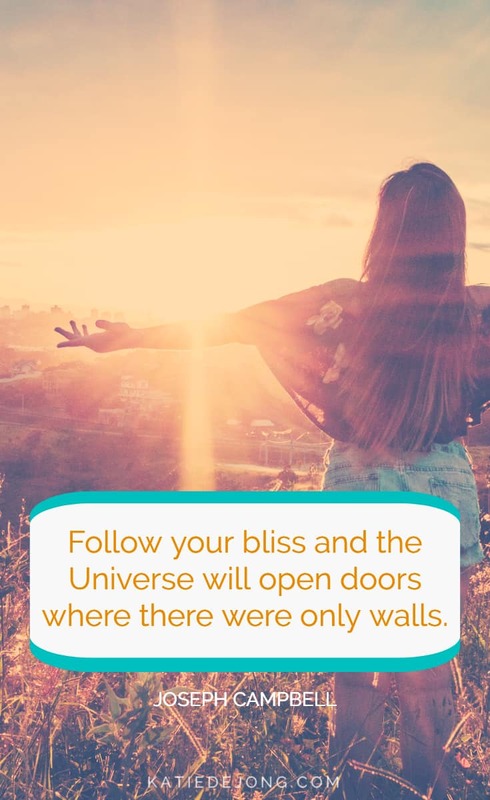 You might just find the next clue that will light your way on the road to following your bliss. Need help in identifying your joyful professional path and purpose? 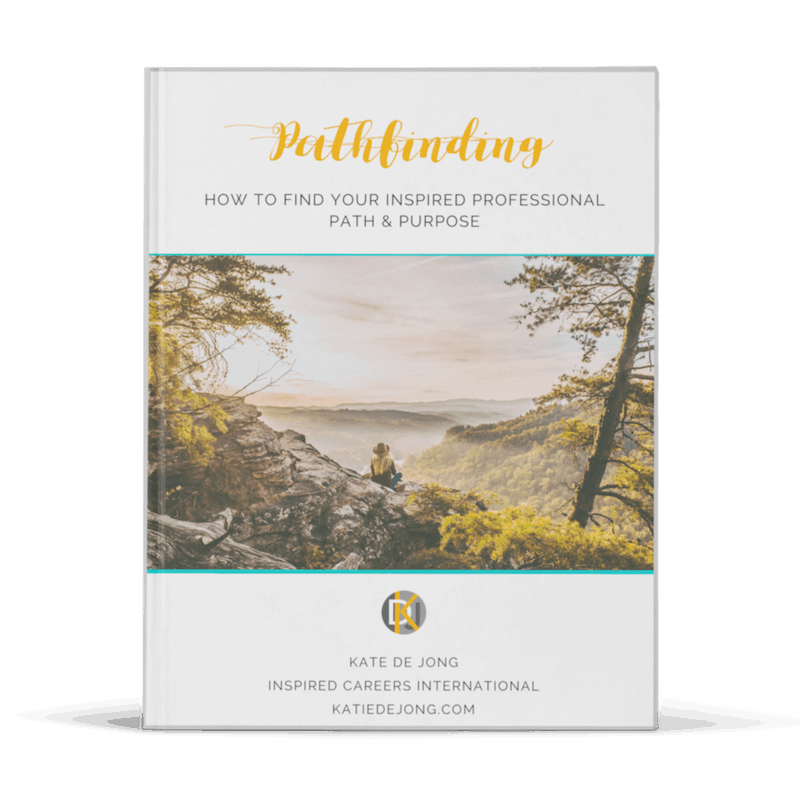 Download my free eBook PATHFINDING: How to Find Your Inspired Professional Path and Purpose and learn all the tips and strategies you need to build a life you truly love!